Whether you're a parent sending their kid off to college or are yourself getting ready to start freshman year, we understand just how emotional this time can be. While it’s impossible to eliminate all of the hassles and frustrations of moving to a whole new destination, our movers can simplify this transition and make it easy for you to focus on everything else that’s going on in your life. 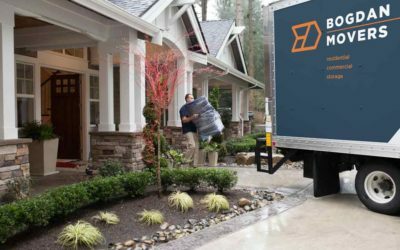 Situated in the heart of Seattle, Bogdan Movers is dedicated towards providing you with exemplary service during your big move. 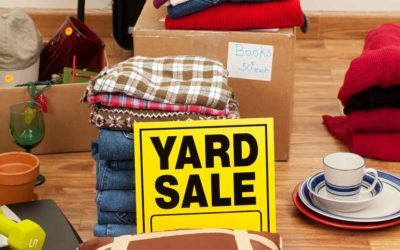 When you’re going off to college, the move to a new place can be hectic. Our services account for every need you could have during the move so that you can relax while we handle all of the preparations. It’s our primary goal to make sure that your move is both safe and efficient. If you’re wondering why you should choose us over other nearby movers, it’s because we are 100 percent dedicated towards ensuring that our customers are completely satisfied. No matter what university or school you’re set to attend, we can move you to or from anywhere in America. Our local movers service a 250-mile radius around Seattle, so don’t hesitate to contact us for a move to Tacoma or Everett. We aim to make sure that your entire move is well taken care of, so we provide more than just the trucks. When selecting our services, we can provide you with all of the boxes, padding, and storage that you need. The materials that we provide to customers are of the highest quality, so you can be confident that your belongings will be safe during the transportation to your new home or dorm room. We are experts at taking apart homes and putting them back together at their new destination, so we can transport anything that you require. Here at Bogdan Movers, we want to help you get ready for the next stage of your life. Before classes start and the daily life of university begins, we will transport your possessions wherever you want, even if you have large furniture pieces that need to be moved. We will even wrap some of your belongings and boxes in blankets so as to provide an extra layer of padding. At Bogdan Movers, we don’t just want to meet your expectations, we want to exceed them, which is why we strive to go the extra mile for each customer that requests our services. Along with our standard moving services, we can pack and unpack your possessions for you, set up new mattresses and make beds once we arrive at your new home or dorm, place any excess items in storage, and dispose of any packing material once you’ve unpacked. If you’re about to head off to college and would like some assistance during the move, call us today to get a free quote.